Got out in the boat today . 36 degrees . Son and his new wife wanted to go fishing with me . With the 3rd person sitting in the seat on the back casting deck the boat would go 18 mph , on plane with 8 inch swells and 15 mph winds . No problems holding the bow up and over waves . I went for a quick solo ride and it was a completely different boat , very quickly hopped up onto a plane and ran strong to 26 mph . The tachometer barely made it to 4600 rpm . This is the nicest the boat has ever ridden on the waves . I'm very happy with the Davis hydrofoil , I never would have thought a hydrofoil would influence ventilation . Now to get the Tachometer checked and get a good prop on there . Thats great news! What specific Davis fin did you use? I love what they do especially in rough water if you play in the wakes. You need to determine prop pitch next. 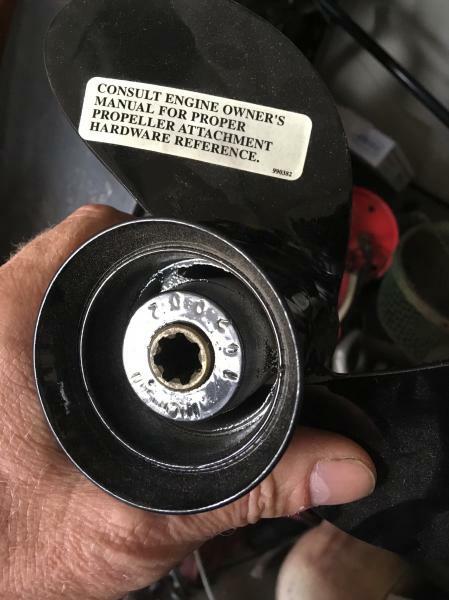 There should be numbers stamped between the blades or sometimes you need to unbolt it and read the numbers on the hub. If all is good with the tach then you should have a 15” prop according to your numbers. If your tach is off you probably have a 13”. You probably need a 13”. Not sure whats available for a 1990’s vintage 30 hp but a 12 would work. If a prop change is needed then your gonna love what that does as much or more than your other mods. Whats the pitch? The prop is a bit of a mystery to me , It does not have any numbers on it that are visible . 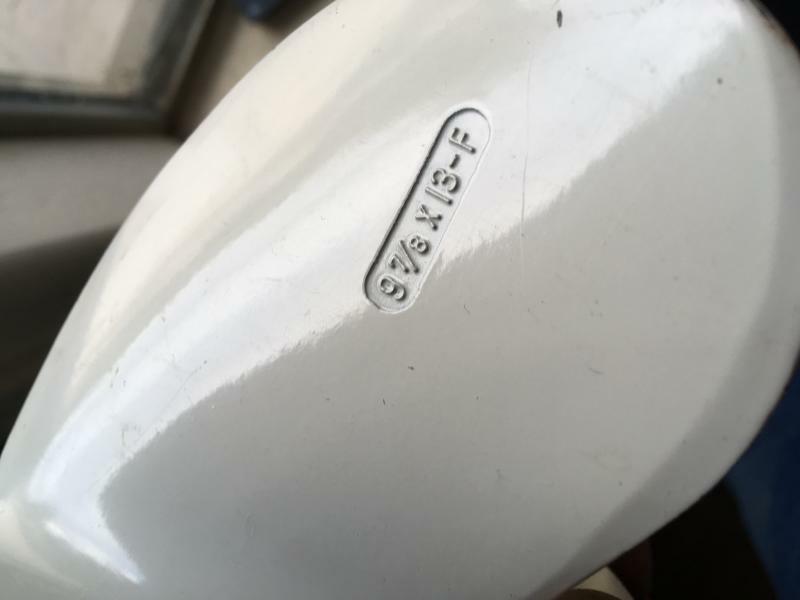 Have you ever seen a prop that might have numbers that can be found on a surface thats only visible once its removed ? So I now have 3 group 24's at the transom and the 18 gallon fuel tank is in front of the the batteries . 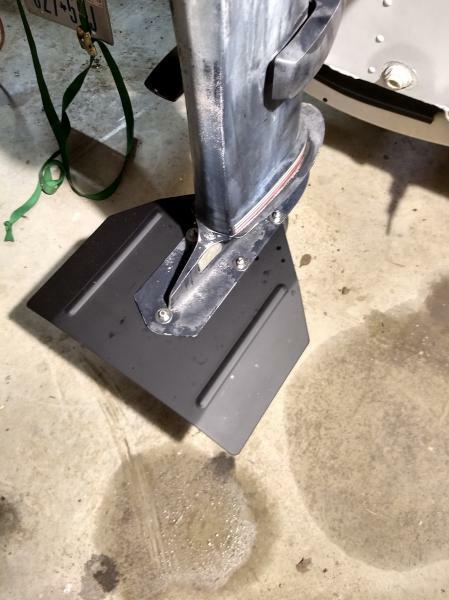 Here is the Amazon link to the Davis instruments XL fin that I have on my boat thanks to my son and his other Heathen friends LOL . 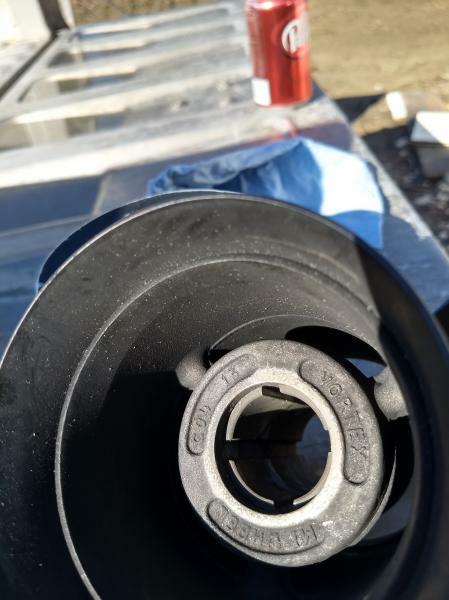 They installed it under the cavitation plate and shifted it forward until they could use the bolt for the trim tab which was already missing . Last edited by DarrellS on 25 Dec 2018, 13:34, edited 1 time in total. For comparison, my utility v hull at 300lbs, one batt, one trolling motor with a 35 johnnyrude has a 13” pitch. It will carry 3 guys and go low 20’s. Alone it flies! I would imagine if you did a prop calculator, it would say to use an 11” pitch prop. That would allow the motor to run at the proper rpm and probably pick up both power and a pinch of top end. Is there a reason you need 3 batteries? Is your TM 24V ? For reference I run a 30hp mercury tiller 2 stroke on a 16ft. Prop is 10"diameter by 11"P.. max rpm solo (with fishing gear) is 5600 and speed is 45km/h. Look between the blades on the hub. The faint stamping is often hidden by paint. If not yes you have to pull it off and look at the hub. I used a prop calculator asuming 2.23 gear ratio your mph, and RPM. I put in the standard 10% slip to come up with 13p. Thats a guess working the calculator backwards so the guys with real world experiance is better. Small props slip more than 10% as well. Here are some props I had laying around showing the different locations for the stamp. If anybody needs this yamaha 25 prop let me know. I think its new. Sorry the pics wigged out on me but this tiny yamaha prop is new and wasting away in my shop as well. 2.5hp ? These show all the different places you find numbersand some are very faint and have been painted but you can always find the numbers. Stump : Thanks , I will pull the prop to see if I can read the hidden numbers . 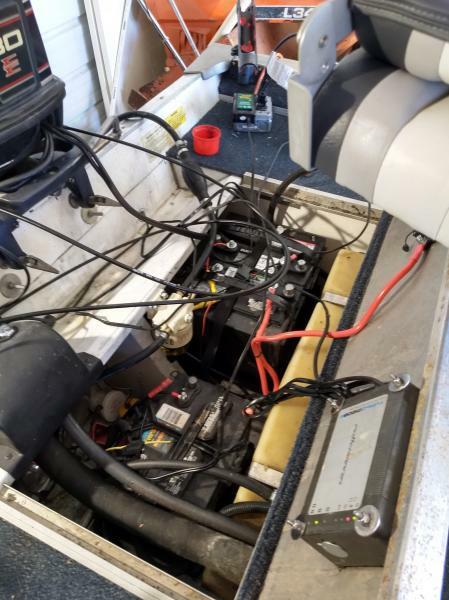 Gypsy : Yes the trolling motor is 24 volt , 60 inch shaft Terrova , only a few months old , I would not have bought it if I knew it was going to stay on this boat . I bought the trolling motor used for half price from a guy that used it twice and decided he wanted power stow and deploy . 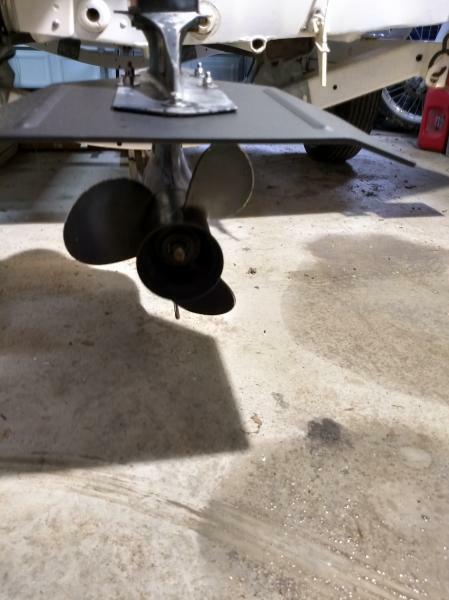 80 lb thrust is absolutely overkill for a 750 lb boat hull . at anything over power level 6 it will jerk the boat out from under you if you are not on your toes . I know that I will be selling this boat and I will end up with a deep V like a Lowe lunker or a similar design which is why I wanted the long shaft . In about the 1 ft waves we were fishing in on Monday the trolling motor never came out of the water with about 40 inches of shaft let out . Okay , So for a update on this problem solving . I was finally able to get down to the shop to pull the prop and try to identify it . 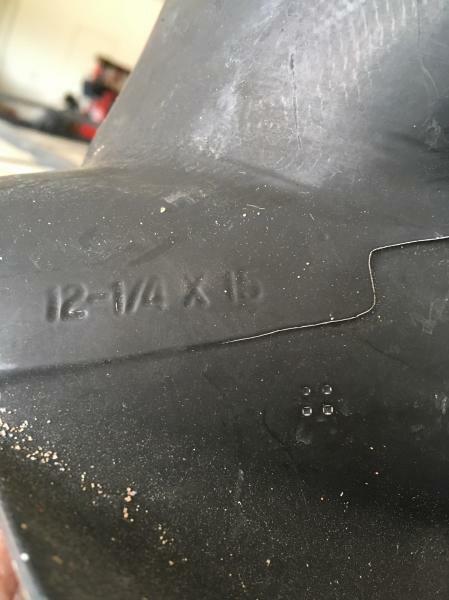 It looks like its manufactured brand is Vortex , And is stamped with a 13 . It turns out that with just me in the boat and a empty live well it still wants to ventilate at about 25 mph and the RPM is right at 4200 rpm . So I will be trying to get a different prop to fix the RPM Problem , and then go for a test ride to check if the ventilation continues . I have scrounged up a 5-1/2 set back CMC power jack plate with a dead actuator . I am thinking about putting the jack plate on and just locking the bolts to hold it in position . I can't even begin to justify the cost of a 400.00 actuator . So I just ordered the Hustler Prop Part Number 21201110 . Prop Model Number R1-1011 . These are the parts per the prop wizard recommendations . Since I currently have the 13 I'm hoping the 11 is a move in the right direction . With any luck the parts will arrive around Feb 20 . Hopefully the weather will be good enough to give it another try . Post subject: Prop Ventilating . Another update . I'm waiting on parts . The thrust washer from the old prop does not fit the new prop . I ordered new parts from iboats . 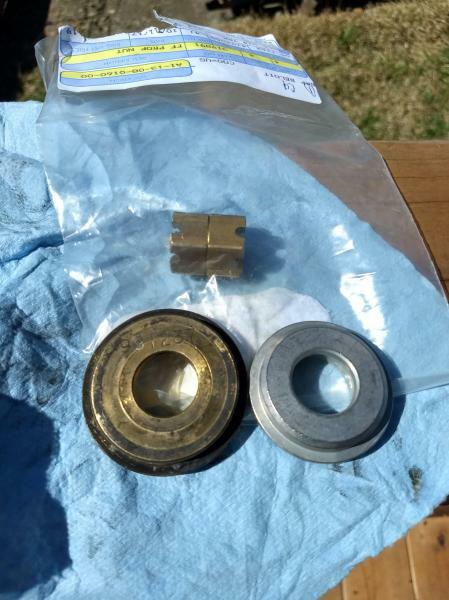 I received the correct thrust washer from iboat as well as a new castle nut that isn't very usable . The weather is improving so I'll get out on the water in the next few days . Went out for a test run this morning and the RPM seems to be a little better but the prop ventilating is pretty bad , So I'm in the middle of installing that jack plate . It turns out the prop nuts I got from iboats were super glued together , I guess they have a prankster somewhere . Last edited by DarrellS on 11 Mar 2019, 20:11, edited 1 time in total. Post subject: Re: Prop Ventilating . What rpms were you getting at wot?